King John’s Castle, is located on ‘King’s Island’ in the heart of medieval Limerick City, less than 40 minutes drive from Hotel Woodstock. The stunning exhibition at King John’s Castle brings to life over 800 years of dramatic local history. Explore the brand new visitor centre with state of the art interpretive activities and exhibitions. Relax afterwards in our café – the perfect place to unwind while enjoying terrifc views onto the castle courtyard and the Shannon river. 21st century touch screen technology, 3D models and discovery drawer are among the exciting techniques that will connect you to tales of siege and warfare. Children will love the dazzling array of computer generated animations and ghostly projections as they travel back through time. The Education and Activity Room is bustling with tasks to stimulate curious minds. In the busy courtyard, you will discover a medieval campaign tent, a blacksmiths forge and scenes from a seventeenth century siege. 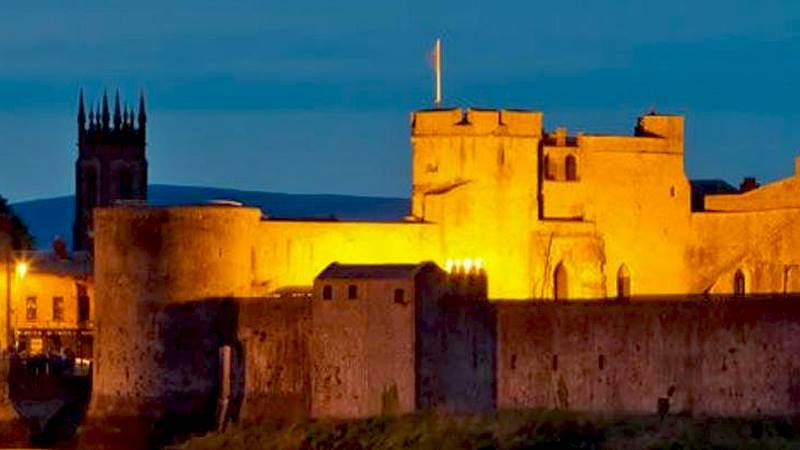 The sights, scenes and sounds of King John’s Castle and its environs all combine to recreate the atmosphere of the era.